Friends and fellow game developers! Grab an ale and I’ll lend your ear a while. Once again, I find myself in the familiar position of apologising for the delays in Everyone Gets Treasure development diary updates! Game development is a slow process at the best of times, especially as projects increase in scale and complexity. Whiskeybarrel Studios, of course, is a grand title for what’s essentially one fulltime programmer (my good self) , a casual artist (Tony Lowe) and a contracted musician (Adrian Galassi). We’ve worked together before on several games, but this will be the biggest project we’ve launched. Tony and Adrian work on the assets for the game in their free time but both have either fulltime jobs or studies and so progress cannot move along at the speed of a dedicated indie studio. I’m the only one really at the coalface fulltime, eg 40+ hours a week. The game has been coming together nicely. I’m sure some of you will have seen artwork from the game, but here’s the latest. It is generating a bit of buzz, people seem to really love the comic-book approach. As you can see, it’s pretty cool – that’s all down to the artwork. The code behind the scenes is unfortunately coming along a lot slower. I have been working on the game full time since July, but to fund this I take on the occasional contract job – the last few weeks I’ve patched an interactive comic book app I made earlier this year, and also am in the process of building a HTML5 training game for a large fast food chain. These are both cool little jobs and most necessary as they help fund the direction of the game, but they interrupt the flow of game development quite substantially. As I’ve stated before, this is really the last roll of the dice for me as an indie developer. If this game doesn’t succeed, that’s it – I won’t be doing it full time anymore, I simply can’t afford to because it pays, well , next to nothing. And that is where we’re at with Everyone Gets Treasure. Up until now the game has been developed using the Starling Framework, a cross platform, GPU accelerated bit of software that leverages Adobe AIR/Flash and can make some really nice games. Things like Incredipede, Mucho Party and The Tapping Dead are all some great examples of what can be achieved with it. I’ve been using Starling for several years now and have become very proficient with it. Throw in ten plus years of ActionScript development ( the language behind Starling ) and I’ve found I can really knock together games fast. It took me less than a day to build a little woodchopping game called Timber Mania onto Google Play, from scratch. In short , Starling is awesome. Flash is awesome. 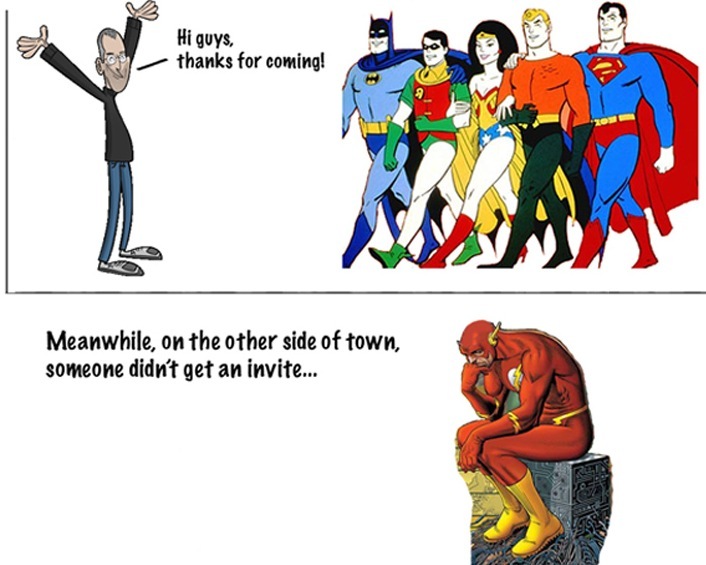 Unfortunately, the wider world doesn’t care about Flash a single bit. Adobe barely promotes it – such a shame it’s no longer in the hands of Macromedia. Since the late snake oil salesman Steve Jobs decried Flash’s limitations back in 2010, the demand for Flash has plummeted. Here in Australia, there’s next to no jobs for Flash developers – unless you want to make banner ads. Companies don’t know you can make cross platform games and apps using Adobe AIR. Everyone looks surprised when I show my games running at a blistering 60 frames per second on an iPad and tell them , essentially, it was made in Flash. “But I thought that was dead.”, they’ll reply. All the ad agencies want HTML5 for the games they used to build in Flash, and the dedicated app studios are using native platforms like Java , Objective C , and good old C++. If you’re talking pure game development, Unity is taking off in leaps and bounds. Popularity is exploding and so is the demand for it. There’s no two ways around it, if you want to be employable as a game developer in the future and can’t see yourself learning the obtuse and arcane C++ language, Unity is where it’s at. So , when we’re talking future career prospects, it’s probably unwise for me to continue to hitch myself to Flash. I wrote a long post about this earlier this year about how I was making the switch from Flash to Unity3D. I started building a little prototype of a basketball game, but got a bit daunted by it and decided it was too ambitious. In my heart, I’m best at making role playing games. I went back to a little idea I’d come up with at the start of the year and decided that was the game to build. I drew up a design document and wrote some notes and at the time made the executive decision to build the game in Starling – the plan was to build it as fast as I could, using all the knowledge I’d accumulated over the years to get it built, get it out there and see how it went. However, a few months into development, with progress as disjointed and interrupted as it has been, I’ve had a change of heart. The plan is, to take a break from Everyone Gets Treasure while I skill up in Unity. I’ve been doing online tutorials and have bought a few books on Amazon. I know a little C#, so I can hit the ground running. I plan on making a quick platform game, maybe for Halloween, teaming up of course with my great mate Tony. Once I’ve got the foundations for a larger project downpat, I can then commence porting EGT over to the Unity. Of course, all of Tony’s artwork won’t be lost as the game will remain in 2D. What this means , as a bonus, is that we’ll be able to use cool dynamic 2d sprite shading techniques , ambient positional sound and other great tricks that Unity supports. Anyway, as a special reward for longterm readers of the dev blog, I wanted to upload a video showing how far we’d gotten with the game. Unfortunately the video capture framerate was an awful 30fps, the game actually runs at twice the speed – and ignore the placeholder curtains/stage graphics (as drawn by me! Ha!) , but it might give you a bit of an insight into where we’re going with the game. The next developer diary update won’t be for some time, but rest assured this game is going to be made and it’s going to be done right. Cheers, and happy journeys as always!